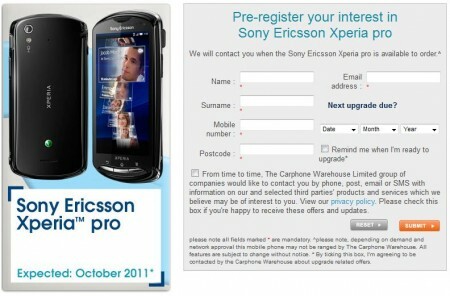 Waiting for the Sony Ericsson Xperia pro ? You might be waiting a little longer according to the Carphone Warehouse, who now have it listed for delivery in October. You can still get your name down to register your interest and, although the Sony Ericsson store still has a delivery date of “late July”, the company has confirmed to somobile that it has indeed been pushed back to Q4.